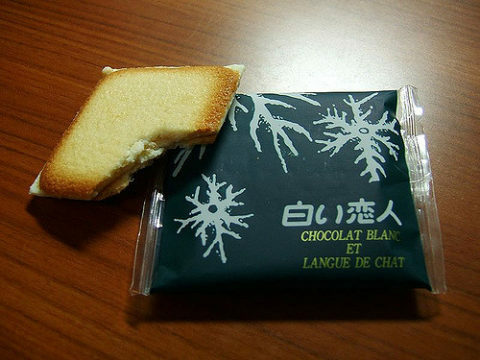 A 39-year-old Tokyo resident feeling rather peckish yesterday afternoon has eaten several packets of his own omiyage that were intended for other people. “After I ate the first White Lover, I was like, I’ve started now, what frickin difference does it make, I’ll have another,” said Minato Ward salaryman Gaman Dekizu. Dekizu opened the 18-packet box at around 3:00 p.m. and started eating his second White Lover at around 3:02 p.m.
Dekizu initially justified his actions by telling himself the omiyage wasn’t really intended for anyone specific, however, deep down he knew he was committing a heinous act. “The guilt I’m feeling now is unbearable – I feel like I’ve shamed the Dekizu family line,” Dekizu said while opening the fifth packet. Dekizu is expected to eat the majority of the White Lovers but hand out a few to random friends in singular form to at least alleviate some of the guilt. Every time I’m in Fukuoka I’m always tempted to buy a box of “Hakata Torimon” (the best omiyage, fact) for myself, but I’m so scared of incurring the wrath of the Japanese gods that I haven’t been able to go through with it.